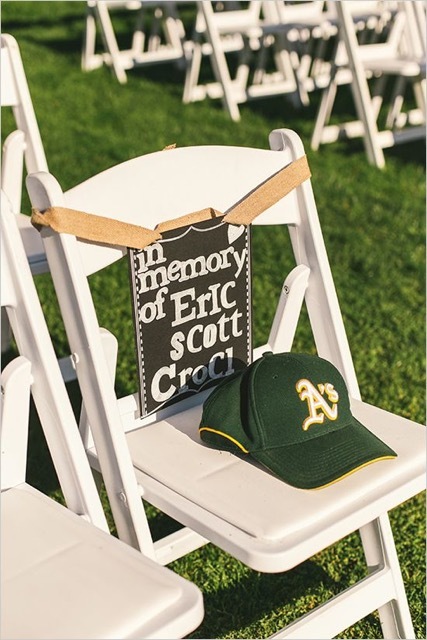 Weddings are a beautiful, fun, happy occasion, but it is not always easy when you feel a void in missing a loved one whom you feel should be there to share your special day. As seen in this picture from Lori & Erin, pinning a picture of the loved one to your bouquet is a unique and creative way to keep a loved one close. 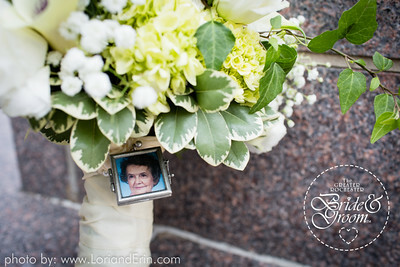 See more of Lori & Erin's work on their website: www.lorianderin.com. 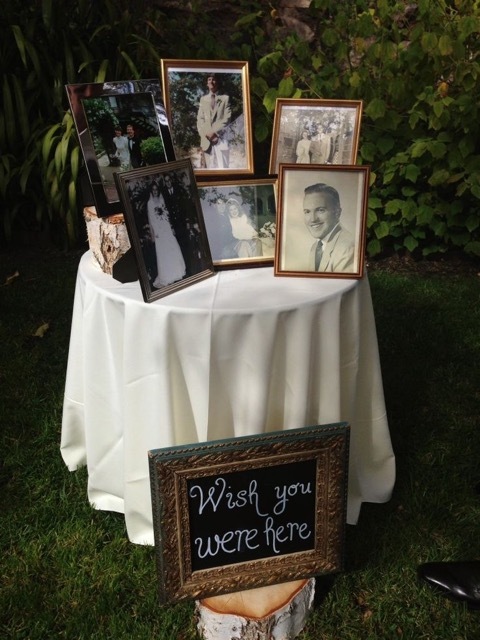 We have some more great ideas below on how to incorporate those who are no longer with us on your wedding day. 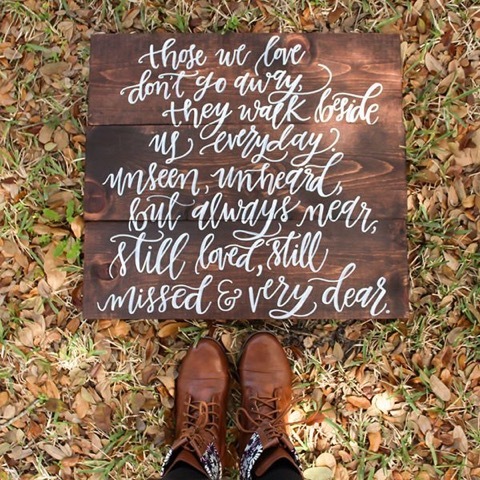 Just because someone may not be there physically, loved ones are always in our hearts and on our minds. So why not assign them a seat with a token that represents them in their place like in this picture. 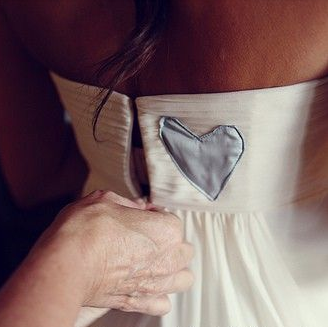 A unique way to keep a loved one close on your wedding day is to take one of their frequently worn or special clothing items and stitch it to your gown, whether it be noticeable on the outside like this picture or inside where only you know it is there. Maybe you have many people dear to you whom have since passed and want to show all of your guests your most fond pictures of them on display at a table with decor like in this picture. An elegant yet sentimental way to acknowledge those who could not be there for your special day is to burn a memorial candle in their memory and this picture shows a great example of that. Depending on the style of your wedding, maybe a plaque with a quote in memory of deceased loved ones is more your cup of tea. 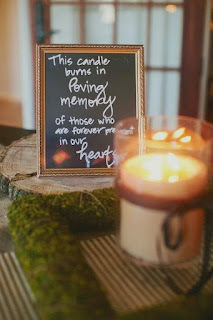 This is a beautiful and simple idea to acknowledge those dearest to you who have passed on.